ANOKA, Minnesota – (ArmsVault.com) – The industry’s number one new caliber from the number one rifle ammunition brand continues to grow. 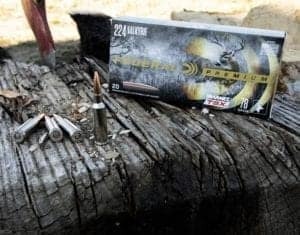 Federal expands its options for 224 Valkyrie with three new loads: 80.5-grain Gold Medal Berger Hybrid, 60-grain Hornady V-Max and 78-grain Barnes Triple-Shock X (TSX). All will be on display during the 2019 SHOT Show (Booth No. 14551), January 22-25 at the Sands Expo Center in Las Vegas, Nevada. After years of development, Federal introduced the 224 Valkyrie cartridge to the world in fall of 2017. It became sanctioned when the Sporting Arms and Ammunition Manufacturers’ Institute (SAAMI) voted to approve the 224 Valkyrie as an official new cartridge during its committee meeting at the 2018 SHOT Show in Las Vegas.